HAPPY NATIONAL PRETZEL DAY!! Pretzels are my snack of choice because they bring everything to the table. Soft or hard, with or without salt, there are endless varieties of pretzels guaranteed to satisfy! From pretzel buns, to chocolate coated, and even being put inside of M&Ms, it seems that there is no place pretzels can’t be taken (figuratively and literally). My personal preference when it comes to pretzels would have to be a hard sourdough or a regular twist pretzel dipped in peanut butter. I basically could eat any kind of pretzel dipped in peanut butter to be honest! My mom, brother, and myself (from right to left) at Julius Sturgis back in 2005. If you are willing to make the trip or live in the Pennsylvania area, head over to Julius Sturgis Pretzel Bakery. This over 150 year old landmark hold interactive tours where guest learn to tie their own pretzels and watched them get baked off! I’ve actually been there, and can attest to it being a fun and interesting experience! CHECK OUT THEIR WEBSITE HERE FOR MORE INFORMATION! Feeling ambitious enough to make your own soft pretzels? Take them to the next level by adding spinach, artichoke, and bacon!! Check out Half Baked Harvest’s Spinach, artichoke, and bacon stuffed beer soft pretzel here. MY TIP: If you live in an area where Wawa convenient stores are located, stop and eat one of their delicious soft pretzels. You will not regret it, and if you are not doing for yourself, at least do it for me! Enjoy your day, today & enjoy your pretzels, always!!! I am always into trying new things and when I find a raved about HEALTHY dessert recipe, I jump on it! So, when I came across a recipe that uses virtually no sugar, no flour, and the main ingredient was black beans, you could understand that I was a little skeptical of all the amazing reviews it was getting! BUT, after making them, I can safely say these Black Bean Chocolate Chip Cookies are even better than how the reviews portrayed them! **WARNING** My brother, (the pickiest eater known to man) who only eats cheerios and plain bagels and who’s lips have never touched a vegetable, spoon ate the batter to these cookies and ate a good majority of them once they were baked. So its fair to say these cookies aren’t just “good for being healthy” but JUST straight up delicious. YOU MAY BECOME ADDICTED. 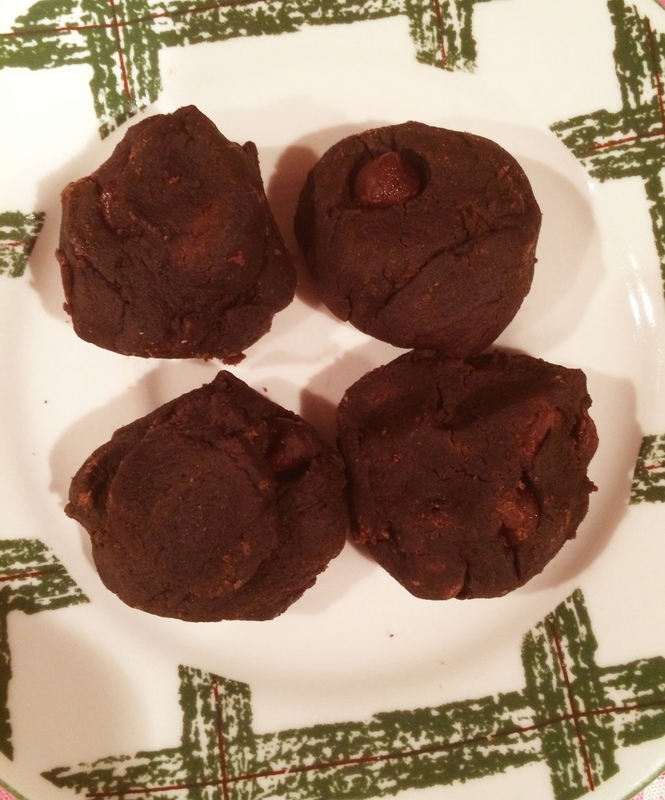 Here the recipe to these gloriously healthy cookies! Would you believe this is mostly black beans?? This recipe is bases off another recipe that uses honey instead or sugar, it links to the original which gives you a choice depending on your preference. I followed this recipe, but used less sugar (1/3 cup) and the cookies came out just sweet enough. I used semi-sweet chocolate chips, which worked well with the flavor of the cookie, but you could use milk or dark chocolate! The batter is very similar to brownie batter. Next time I make these, I’m going to experiment into making them in the form of brownies instead! There really isn’t anything else I can say about these cookies, BUT GO MAKES THEM RIGHT NOW!! If you like chocolate, these cookies will fulfill all your chocolate cravings and more. Plus, the fact that they are healthy is an added bonus!! Let be completely honest here, we all know that tater tots are perfect in every single way. From breakfast to dinner, and even as a midnight snack, there no time of the day that I would object to eating a nice crispy tot (well, maybe before I went for a run or something, but that’s besides the point). I personally enjoy my tots to be crunchy and crispy, but even when they’re soggy, tots aren’t half bad. So you’d wouldn’t believe my excitement when I came across a recipe for LOW CARB TOTS, which are made with cauliflower instead of potatoes! 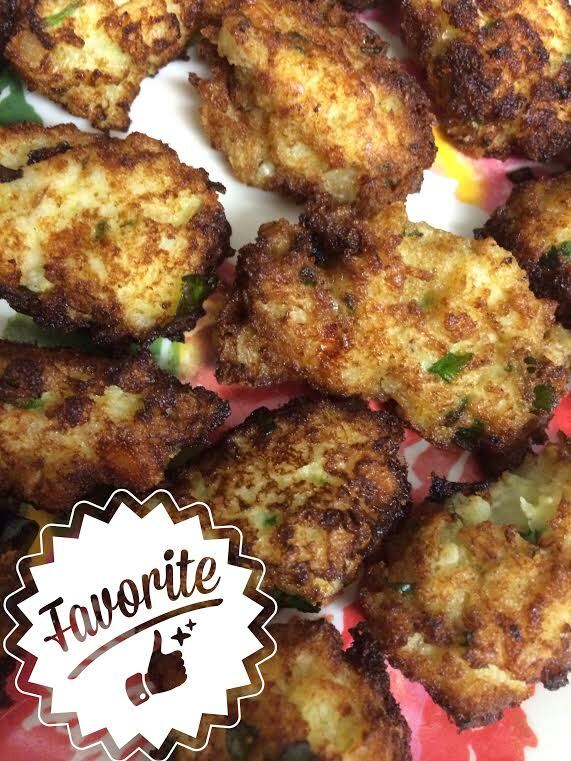 With my craving for tot and love of cauliflower, I had to try this recipe!!!! 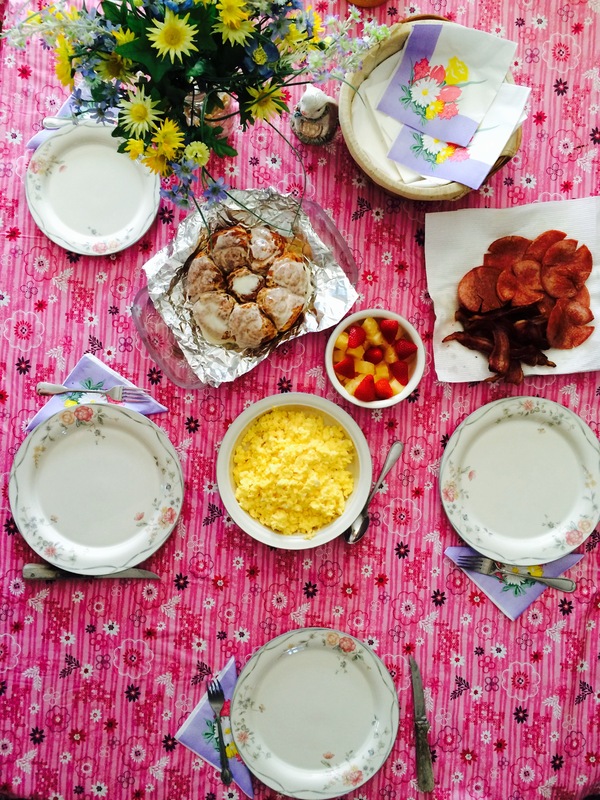 CHECK OUT THE RECIPE I USED HERE! Of course I took the liberty in changing up the recipe a little to make it a little more accessible and flavorful! Change: This recipe calls for raw cauliflower; HOWEVER, I used frozen cauliflower and it worked well. Tip: If you are using frozen cauliflower, MAKE SURE YOU FOLLOW THE INSTRUCTIONS AND YOU PRESS ALL OF THE EXTRA WATER FROM CAULIFLOWER. Hint: The recipe suggest you let the mixture sit, HOWEVER, I didn’t and do not think it’s necessary, especially if you are on a time crunch. Tip: I didn’t use any onions, but I added some chopped spinach leaves to my tots for added flavor. I suggest adding chopped carrots or broccoli to the mix for different flavors and texture! Change: I only used a little bit of pepper jack cheese, to cut down the calories (or maybe because I only had a little…) and it tasted great! Add however much or little you’d like. 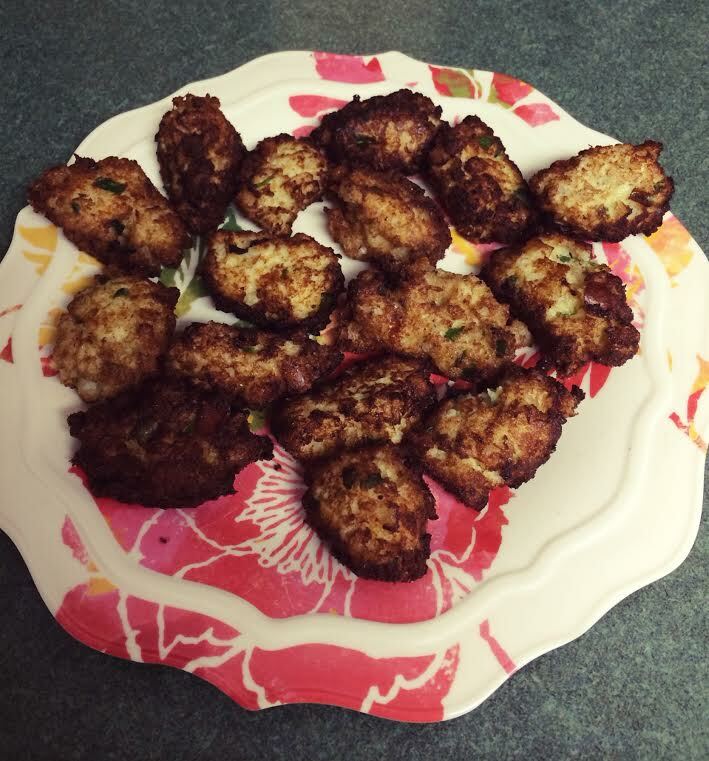 Review of the Recipe: The outcome of these cauliflower tots were better than I’d expected! Unlike normal tots, they had more flavor, due to the combined cheese. ALSO, this was my first time frying anything, and it was definitely A LOT easier than I had imagined,which pleasantly surprised me! Not to say I’m going to be frying everything from now on, but it’s a great feat to check off my bucket list! Next time I make these, I am going to try and bake them, instead of frying, just to make them a bit healthier! I personally didn’t make the chipotle mayonnaise, but instead dipped mine in hot sauce! FUN FACT: “Tater Tots” is actually a registered trademark of Ore-Ida. Veggie chips are all the rage recently! I cannot look on Pinterest’s Food&Drink section without seeing at least five different recipes for different kinds of veggie chips. From zucchini to sweet potato and even kale, it seems that EVERY vegetable is being chip-ified. Place two cups of spinach in a bowl and add 1/ 2 to 1 tsp of olive to slightly coat the leaves. Add Cajun seasoning, mixing thoroughly to coat each leave. Use as much as desired. Lightly grease a baking sheet wrapped with foil. Place leave in a single layer on the baking sheet and bake for 6 to 8 minutes, depending on desired crispiness. After removed from the oven, let cool for a minute or so before removing them from the foil. Once removed enjoy as a tasty, spicy and crunchy snack. 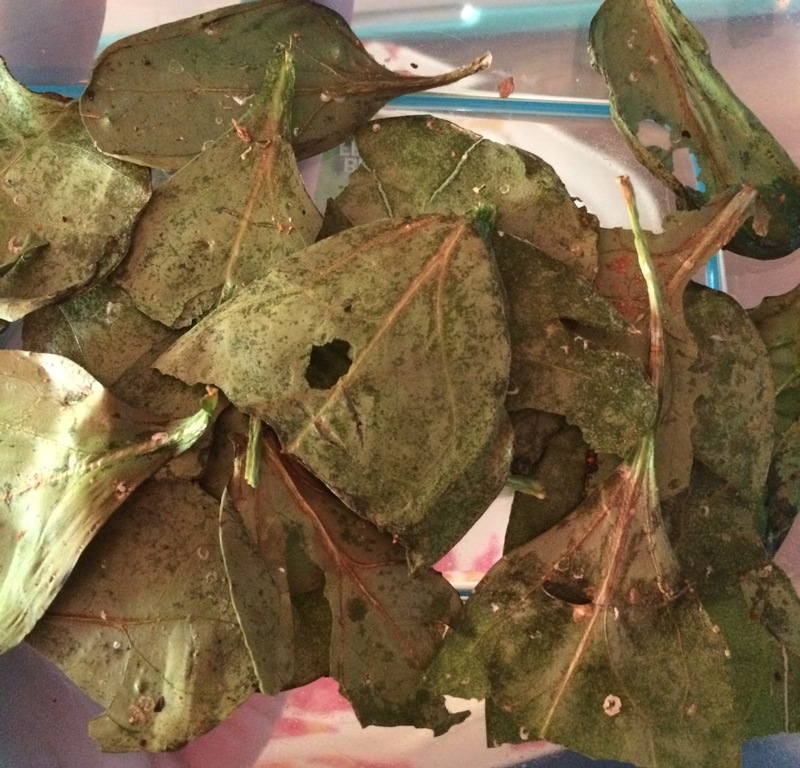 BE SURE NOT TO DRENCH THE LEAVES IN OLIVE OIL OR THEY WILL SHRIVEL UP. Make sure you remember to grease the foiled pan so the spinach leaves do not stick. I suggest using regular spinach leaves opposed to baby spinach leaves. I originally used baby spinach leaves and they crumbled easiler. I ALSO suggest that you try to use fresh spinach because they will yield a more chip like texture. From my prior post you may have come to the conclusion that I am a BIG fan of condiments. Basically anything I can put peanut butter or hot sauce on are my favorite foods. But recently I’ve been getting more and more into hummus. I have always like it for the casual dipping of veggies and pita chips, BUT now I can say I am OBSESSED WITH IT!! I find reasons to put it on anything and I could eat virtually anything with hummus on it (This is NOT an exaggeration! I find raw carrots to be repulsive and consider them the Devil’s vegetable, but lately I’ve even been eating them with hummus!!). HUMMUS IS A GAME CHANGER PEOPLE! Desired texture of the blended chickpeas. 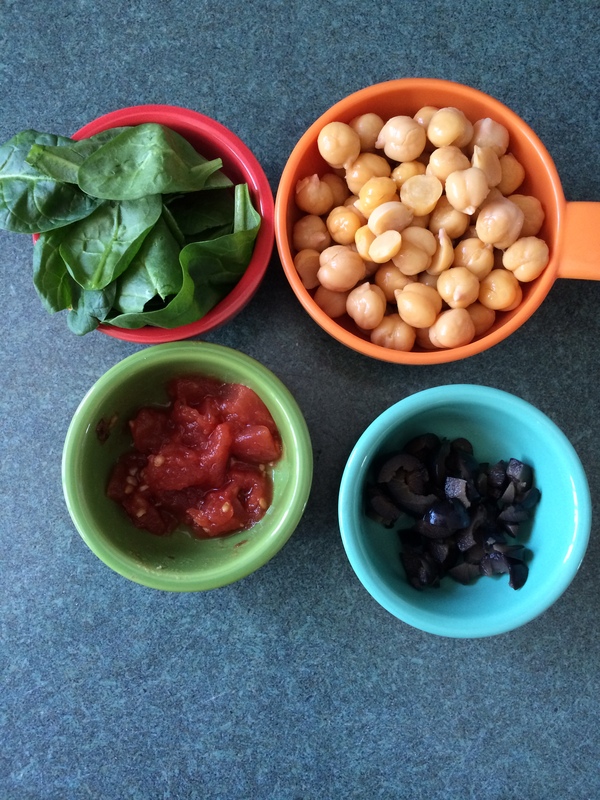 Prep ingredients: Remove skin from chickpeas, cut steams off the baby spinach, and slice olives. First, place chickpeas into a blender (or magic bullet) and blend for a minute to two until grainy like sand. Add half of the tomatoes, olives, and spinach. Proceed to blend for about a minute until ingredients mix in with the chickpea. Add 1 tsp on olive oil and 1/2 tbsp of water and blend until smooth, about two minutes. Add the remaining ingredients, oil and water until completely blended and smooth. Then add a pinch of salt and pepper (more or less depending on how you want it to taste) and pulse giving the hummus a final mix. You may need to add a bit more water or oil depending on the constancy. Chill for at least 20 minutes then enjoy with veggies, chips, or anything of you choosing! 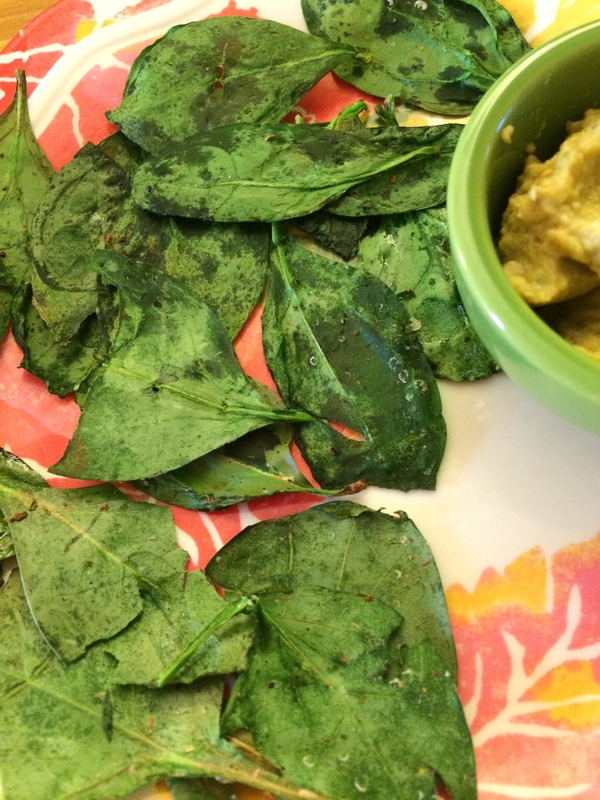 My homemade hummus & spinach chips! SPINCH CHIP RECIPE COMING SOON!! This flavorful hummus is a fresh and healthy snack that can be put on anything from celery, to pita chips, to rice cakes and more! 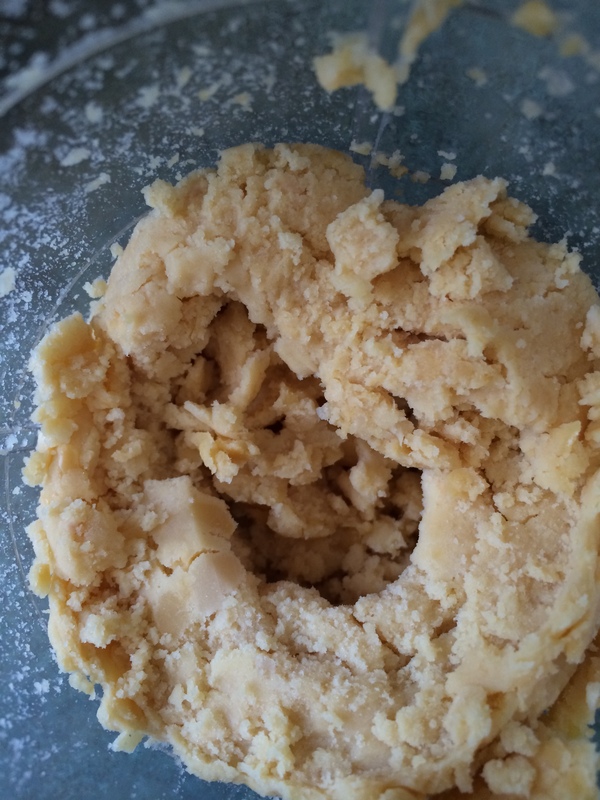 Compared to store bought hummus, my homemade hummus had a more powerful chickpea flavor. The flavors of the tomatoes, olive, and spinach added a more depth of flavor; however, next time I think I’ll add a little extra garlic for a kick. I cannot wait to play around with adding different flavors to my hummus. What type of hummus do you think I should try making next? Reply in the comments!! Note: I am eating spoonfuls of hummus as I write this and I am loving every moment of it. By no means do I consider myself to be excellent runner, with my only real competitive running experience was being a member of my middle school’s cross country team, but it’s something I really enjoy doing. Although, it wasn’t until after I joined my college’s crew team, did I truly discover my love of running (this may be because ANYTHING is better than crew workouts). I’ve since quit crew, but my love for running still prevails. This workout is a more structured schedule. This workout gives you more freedom to customize. 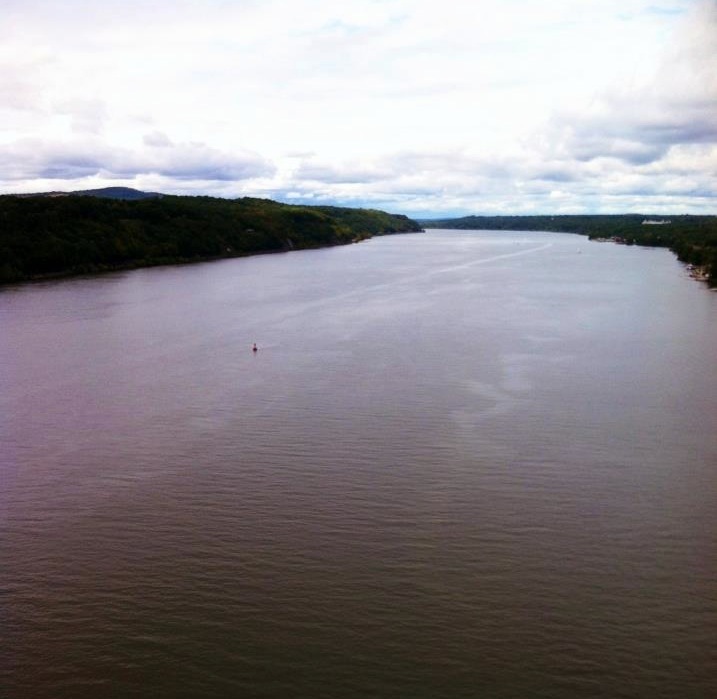 Scenic picture of the Hudson, I took on one of my many bridge adventures. Now with the weather warming up, I am back where I belong running outside, and with the Walkway Over the Hudson and the FDR Trails within miles from my school, I’d say I’d hit the running jackpot! After a long day of work and classes, it’s great to be able to clear my head and take in the fresh air and not to mention the beautiful view! Hoping to run a 5k sometime this summer, I am taking advantage of these resources more and more as the weather is warming up. 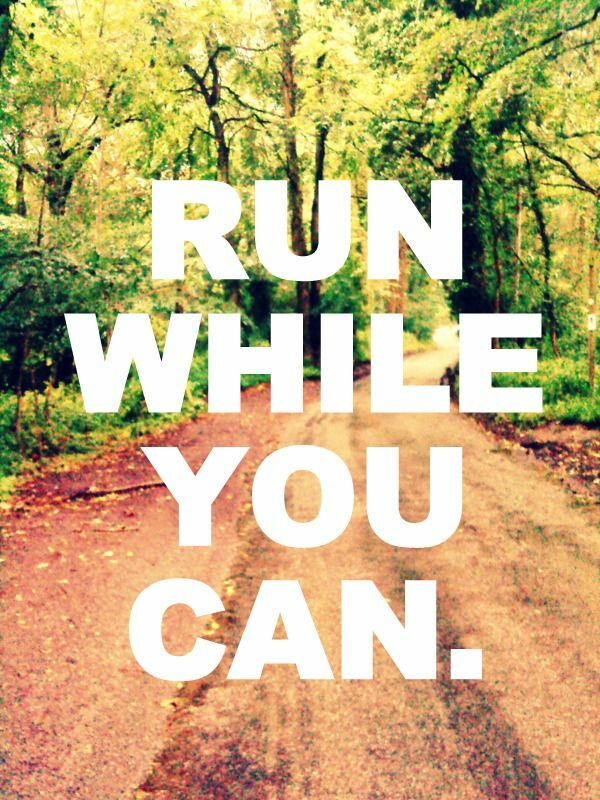 Even if you are not a runner, both the Walkway and the trails are beautiful destinations to take a leisurely walk! Here are some links that will lead you to more information on Walkway Over the Hudson and the FDR trails. Slice ripened bananas into equivalent pieces, about an inch thick. Then place each flat onto a plate or baking sheet then place in the freezer of at least an hour. After you remove the banana’s from the freezer, place them into a blender (I used a magic bullet) with 1 tbs of the peanut butter and blend until smooth. Place the mixture back into the freezer for around an hour, and enjoy guilt free! When first freezing the bananas, leave them in the freezer for about two hours. If you need to leave them in the freezer for a longer amount of time make sure you let them thaw out a little before blending them. I added a pinch of cocoa powder to the ice cream to add a different dimension of flavor. Next time, I plan on adding some cinnamon! Experiment with the recipe and make it your own! The next time I make this, I will add more peanut butter to mellow down the overwhelming banana flavor and mostly because I love peanut butter! 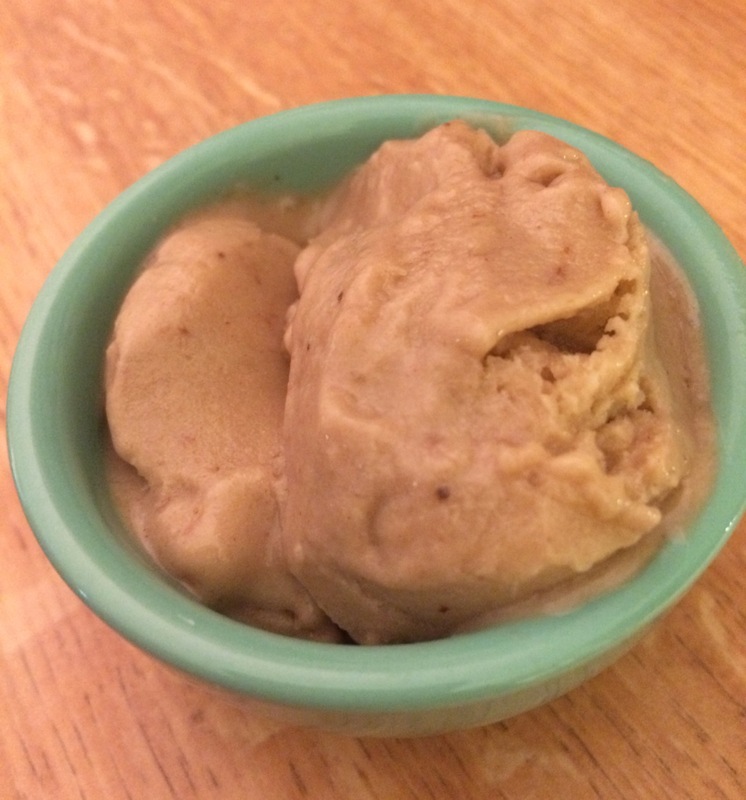 As a refreshing treat after a long run or if you are just craving a simple sweet snack, this ice cream is healthy, easy to make, an delicious! !